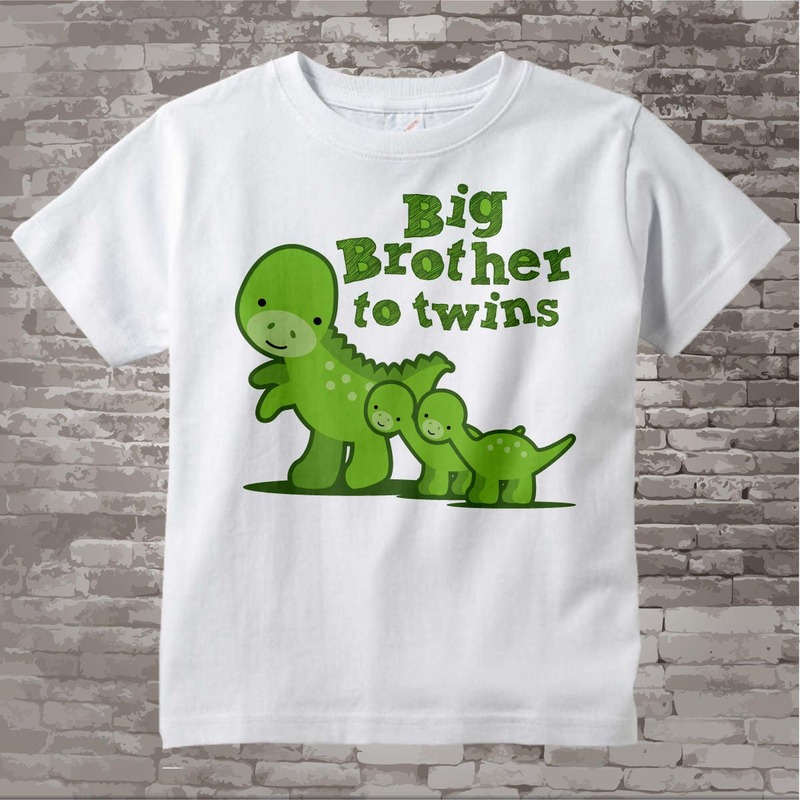 Super cute Big Brother to twins Dinosaur tee shirt. This cute green cartoon dinosaurs is not scary at all. 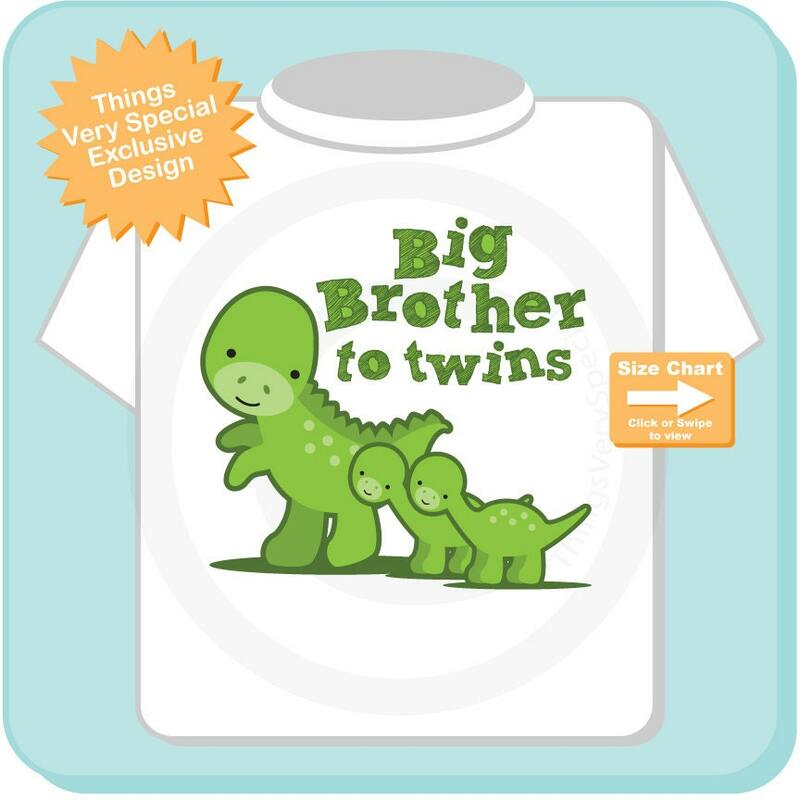 He's perfect for the toddler or young child that is becoming a new big brother to twins. We bought this shirt for our son to meet his baby brother and sister who are due soon. 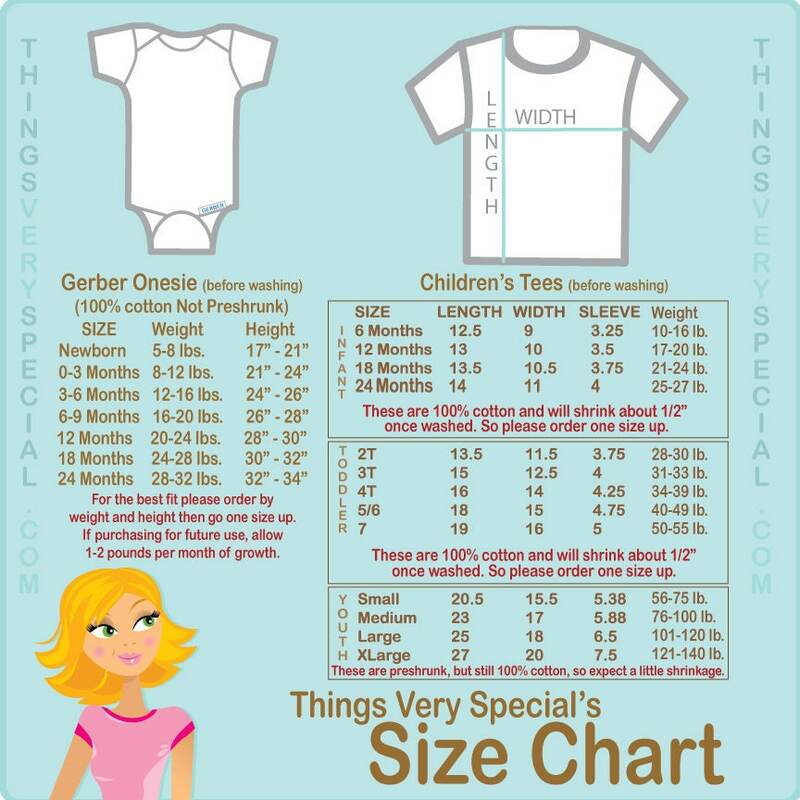 Frances was great with communication, even created a custom order for me so the babies could have corresponding onesies to wear for pictures! The quality of the print on the shirt and onesies is very good, and the t-shirt is of high quality. Even after first wash it looks brand-new. We will definitely be return customers for any other milestone t-shirts we need in the future for our children.